We Help You Live Your Life Without Pain. You don’t have to let pain rule your life. At Bethpage Chiropractic we focus on the CAUSE of your PAIN and not just the symptoms. We’re committed to teaching our patients that true health is a journey, not a destination. Through educational opportunities (like this website), we hope to communicate the value of chiropractic care. Our desire is to see our patients abandon the prevailing sickness care model of health (waiting for symptoms and then taking action), in favor of the emerging wellness model. Regardless of your health goals, please understand that we are to help. It’s your body, your health and your future. 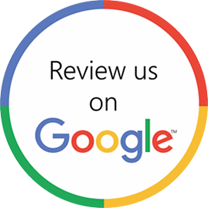 Our job is to offer you the finest chiropractic care possible in Farmingdale, make appropriate recommendations and work together to achieve your goals. Download our E-book to learn more about Biostructural Correction and how we can help you. Learn more about what we specialize in and the benefits of a pain and drug free life chiropractic care can provide you with. Thank for Downloading Our Ebook! Okay… What is a Structural Shift? The normal alignment of the spine a front view, the spine should be straight, and a side view there are 3 curves. A curve for the neck (Cervical) the mid back (Thoracic) and the low back (Lumbar). So a structural shift is a lost of the normal curve(s) and or an abnormal shift of the spine. If your spinal alignment has shifted outside what is considered “normal” this deviation of your spine puts abnormal stress on your muscles, tendons, ligaments, spinal bones, and discs forcing them to age abnormally and wear out prematurely. If your spine shifts from its normal structural alignment the result may be a variety of Secondary Conditions. There are indicators of a structural shift: Having just one indicates a Primary Structural Problem. Think of your spine like the foundation of a house. The rest of the house cannot be stable if it’s not sitting on a strong foundation. Restoring this and allowing your body to function at 100% is the key to both initial relief and long term improvement. Most of our patients appreciate the fact we can show them before and after pictures of their spine to see the progress. Many were tired of patching things up only to have them return a few months later. If your house were on an unsteady foundation would you want to continually patch up the drywall, fix the windows, and continue to nail down the creaky floors every time they appeared? As you might have guessed, our services aren’t for everyone, but for those who are NOT looking for a patch, but instead looking for a customized, long term solution where they can not only feel the difference, but see it with their own eyes. Secondary Conditions (Symptoms) are a result of a primary Condition (A Cause). The most common solution for most doctors, regardless of which area of healthcare they fall in, usually look to manage these secondary conditions with things such as medication, exercises, injections, and some cases surgery. While all of these things can be effective, none really look to correct the Primary Condition, the underling cause. The following list represents conditions that are often the result of a structural shift of the spine. In many cases a STRUCTURAL SHIFT may be the underlying cause of a large variety of Secondary Conditions. We focus on correcting Structural Shifts and can create a plan to improve your structure and your health. What’s The Difference Between Structural & Traditional Chiropractic? Decrease Muscular Spasm and Tightness. This is what most chiropractors offer in the way of care, and I believe that most of these doctors do a great job at what they do. 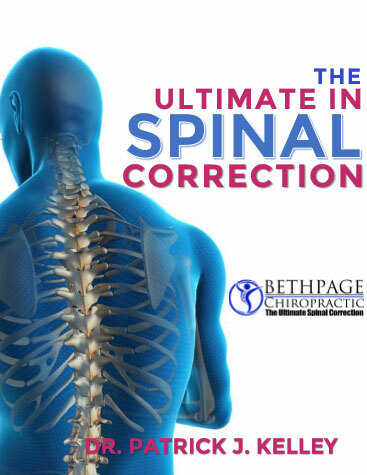 Unlike traditional chiropractors, here at Bethpage Chiropractic we focus on the structural correction of the spine by utilizing specific corrections to spinal bones that your body can’t self-correct on it’s own, in an effort to improve or correct your structural foundation. We all know that the human body has a normal temperature, normal range for blood pressure, and normal eyesight, but most of us are unaware that there is also a normal when it comes to the structural alignment of the spine. If your spine is outside the normal range… this is a Primary Structural Condition that can cause variety of Secondary Condition or symptoms. When it comes to normal, we are not expecting anyone to be perfect. We understand, we are NOT for everyone. Our patients have tried other health care options (including other chiropractors) and are tired of patching up their problems only to have their problem return. So, we offer services for patients looking for a customized lasting solution. Are you living with back pain then Bethpage Chiropractic might be a good treatment solution. Dr. Patrick Kelley at Bethpage Chiropractic specializes in the diagnosis and treatment of sciatica as well as other types of back and leg pain. The office serves the residents of Bethpage and Farmingdale. Visiting a chiropractor for professional chiropractic care is always one of the first things you should do in treating many of the most common automobile accident-related injuries there are. 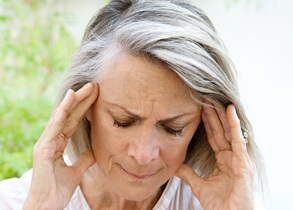 There are many treatments or preventions for migraine headaches. The treatment with most long term success is chiropractic. Dr. Patrick Kelley at Bethpage Chiropractic focuses on getting to the root cause of your migraine. Dr. Kelley has been serving the residents of Bethpage and Farmingdale for the past 20 years. When you live with neck pain long enough, you know its important to find the best chiropractor in Farmingdale. Understanding the cause of your neck pain is an important step towards acquiring the treatment that will be the most effective in both the short and long-term recovery. There is a clinically proven Chiropractic Treatment for Carpal Tunnel Syndrome that is convenient, comfortable and has none of the downtime, risks or complications of carpal release surgery.